This is an artist favorite. 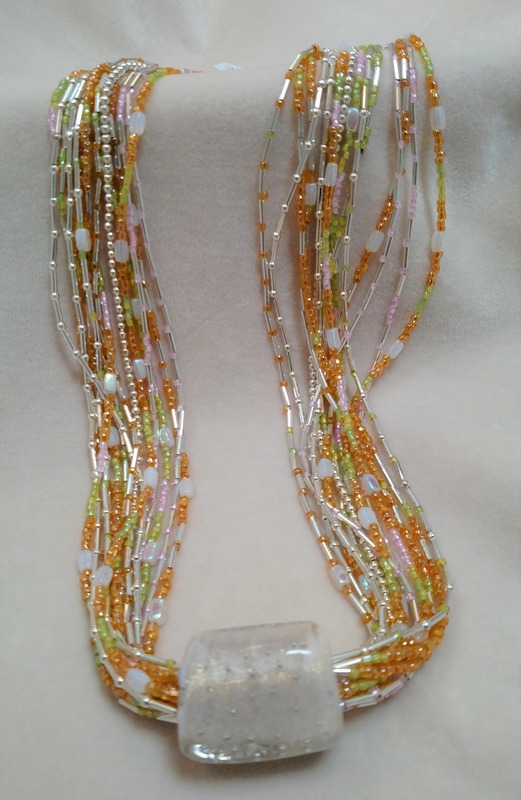 Start with a hand-made opalescent glass bead that just radiates all kinds of beautiful colors and then hang it from a luxurious 14 strand beaded chain. 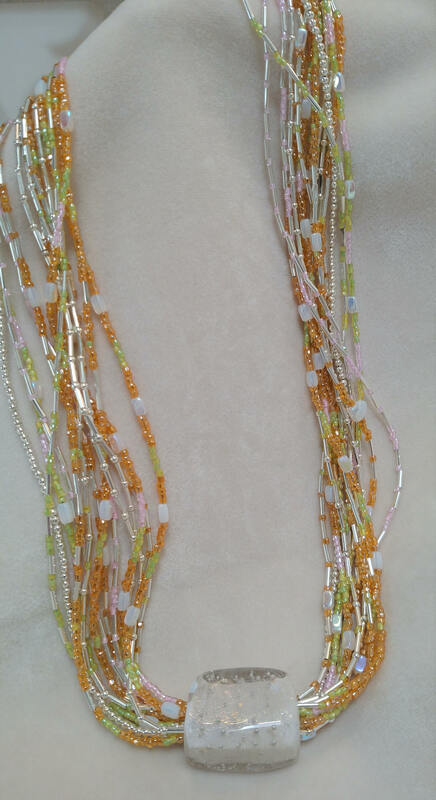 It doesn't just look wonderful, it also feels wonderful; it's just like silk around your neck. 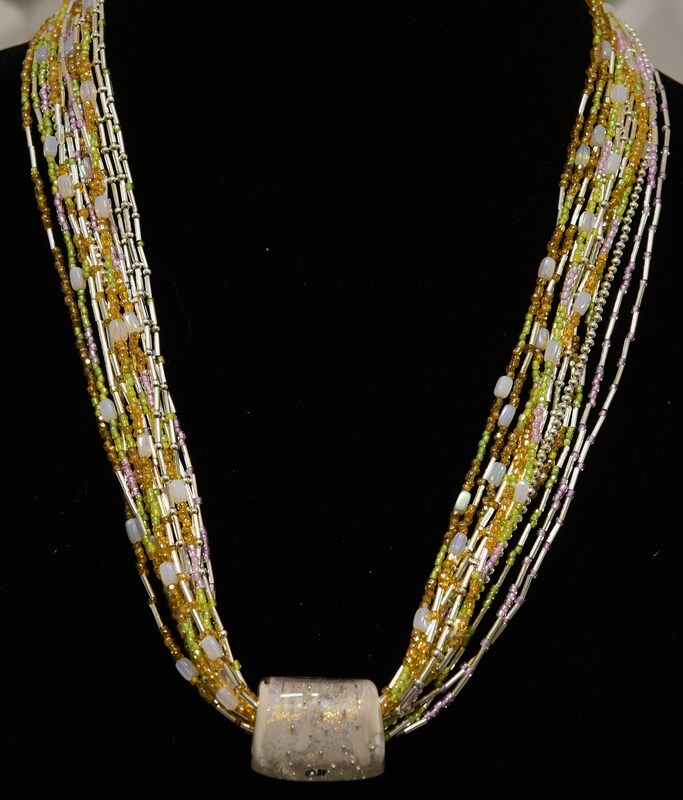 The strands themselves reflect all of the opalescent colors that glisten from the bead. 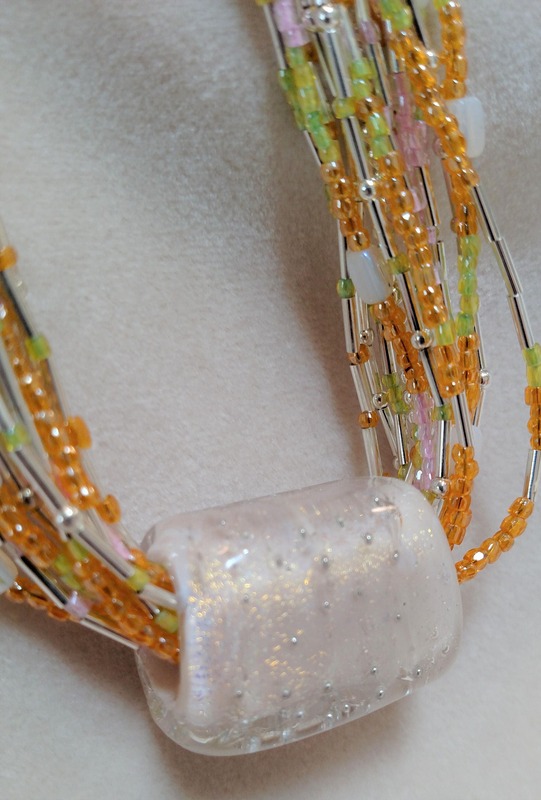 Truly a gorgeous statement piece.